This blanket is perfect for a cool summer night, nice and lightweight and just warm enough to keep you from getting chilled. The blanket pictured was hand crocheted with 100% cotton yarn in beautiful raspberry and cream colors and measures 57" x 48". This blanket is available for purchase for $80. 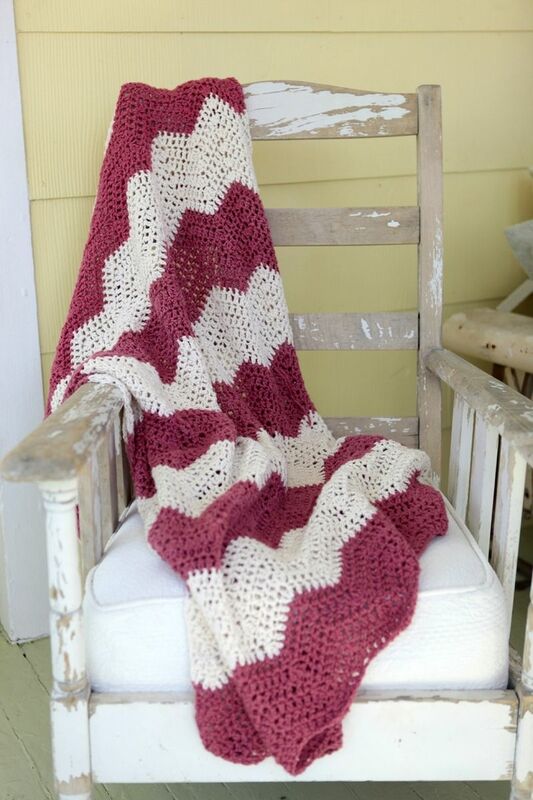 I can make a similar blanket in a variety of sizes and colors. The stripe widths can very from very small to very large as well.